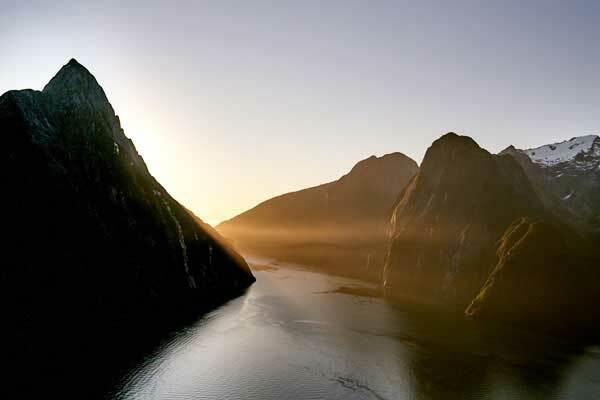 Described by Rudyard Kipling as the eighth wonder of the world, Milford Sound has to be seen to be believed. The sheer scale of the towering mountains which rise up over a mile from the waters beneath will leave you in awe. Every year, thousands of people visit Milford Sound on bus tours, taking a 2 hour boat cruise on the fiord itself. But Fiordland Helicopters will take you further, showing you the incomparable beauty of Milford Sound and Fiordland by air. You can only really experience the scale and grandeur of the scenery by flying over native forests and cascading waterfalls. We can also connect you to the boats for the chance to get up close and personal with rare wildlife such as Fiordland Crested Penguins, New Zealand Fur Seals and Dusky and Bottlenose Dolphins.